So – why and how did I become a chaplain? My husband was one of the first chaplains when this initiative was launched. He and one or two others tried to encourage me to take on the role. As I had been involved in retail for over 20 years, they thought it was a good use of my experience! However, for precisely that same reason, I felt this was not the area God was calling me. Having been involved in ministry to the older person at church through the Friendship Group (for the 60+) for 12 years, I felt a call to broaden my ministry. My dad had been a resident in care homes. My experience developed through having to find the right homes for him. He had been in 4 care homes in 18 months, plus lengthy stays in The Royal. This is when I believe God began calling me, where He wanted to use me. It had not been my plan to become more involved. Far from it! It felt quite challenging!. God often calls us out of our comfort zones, redeeming the areas that have been difficult, using them and us for His plans and purposes. He also anoints us with the gifts to fulfil the call. 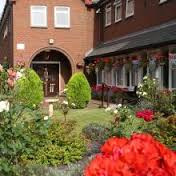 I had attended a number of conferences ran by both Pilgrim Homes and Methodist Homes Association, as well as events and meetings the diocese had organised and became deeply compassionate in this area of caring. Attending these events was not the criteria for becoming a chaplain! I was drawn to them out of compassion and a growing need to develop more understanding through information, sharing, listening and reading numerous books on the issue of caring for the elderly. God blessed me with a heart and compassion for His older children and though I had loved being involved with the Friendship Group, knew it was time to lay this down. I was being called to something, but not too sure what. I became a volunteer in a Methodist care home. This home had a communion service once a week and also a weekly Sunday service of praise. These residents were getting their spiritual needs met. I felt a strongly and passionately this is where God’s purpose was for me . . visiting homes to bring the light of God’s love and care to residents and to be a support for the staff. I met with Paul Morris to share my interest and my dream. I then filled in the application form and was appointed as a chaplain. Currently I am visiting 2 homes. To visit as a chaplain defines my role. Visiting as a member of the church clearly indicates to residents, their family members and staff that I am not a residents’ family member. We are offering services, communion, prayer, care and friendship, especially to those who rarely receive visitors. We do make a difference! And I am well blessed . . it is in giving that we receive.